It is a fact that not all teeth benefit from a natural white shade. While you can undergo all sorts of teeth whitening treatments there are some homemade recipes that you can use in order to brighten your smile. 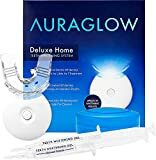 This article contains 7 most common DIY teeth whitening and non-hazardous techniques you can put to use in the comfort of your home. This is one of the most common DIY teeth whitening procedures out there. It involves using hydrogen peroxide as a mouthwash and brushing your teeth with baking soda. 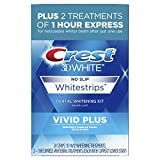 You can just apply the paste directly on the toothbrush and then proceed to brush your teeth. However, don’t overuse this homemade recipe, as the ingredients are abrasive. It is good you get to save some money, rather than having to pay ridiculous amounts for expensive procedures. However, it is strongly advised that you should not use these DIY teeth whitening suggestions as a means of replacing toothpaste. Another famous homemade DIY teeth whitening remedy that involves baking soda is this sour tasting paste. It is not a shocker that sodium bicarbonate (baking soda) is present in quite a few teeth whitening mixtures, as it is mildly abrasive. Thanks to this, you can easily scrub away surface stains and help your teeth gain a whiter shade. At the same time, the lemon juice acts as a natural bleach. If the taste is maybe too much for you, add a little water. The tutorial below offers the steps to making and using this paste. Another great way to whiten your teeth faster and using fewer ingredients is rubbing a banana peel directly on your teeth. The inside of the banana peel is rich in all sorts of minerals that act like natural whiteners and also benefit the enamel that covers the teeth. You can repeat this procedure shortly after going to bed every night. You can find all the information you need about how this treatment works in detail in the guide below. Another great DIY teeth whitening remedy you can safely use at home is this particular compound. The strawberries are rich in vitamin C that breaks down the plaque. At the same time, baking soda acts as an abrasive material in order to remove surface stains. The quick tutorial below can make a difference in the way you smile from now on, as long as you pay close attention to it and use the information to your advantage. As odd as it may sound, using coconut oil can help you whiten your teeth. Furthermore, it is highly beneficial to the general health of your gums, as well. How this works is very simple. All you need is some coconut oil to rinse your mouth and water. Also, you can add baking soda to the mixture or even peppermint oil, as well. As an added bonus, your breath will stay fresh for longer periods of time. You can discover all the benefits of coconut oil when it comes to DIY teeth whitening in the tutorial below. In order to whiten your teeth using this technique all you need to do is get your hands on some apple cider vinegar. This procedure does not require brushing or using anything other than plain apple cider vinegar. Dentists recommend doing this before you actually start brushing your teeth. Also, you may want to thoroughly rinse your mouth afterward, because it can leave a slightly unpleasant taste. The informative video below talks about the multiple benefits that apple cider vinegar carries. 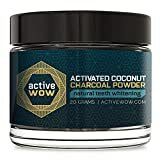 Another great way to whiten your teeth, although it may seem odd, is using activated charcoal paste. 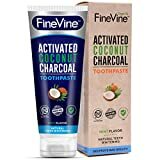 The way this works is due to the fact that the fine charcoal granules are very porous and bind bacteria before staining the teeth. It is a well-known fact that charcoal acts as a great bacteria absorbent which is why it is heavily used in cosmetic products as well. 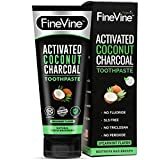 You can either brush your teeth with the active charcoal then rinse, or you can leave it on the surface of the teeth for a while for a better outcome. 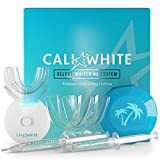 The step-by-step video tutorial we have below will help you better understand why this makes for one of the best DIY teeth whitening procedures. 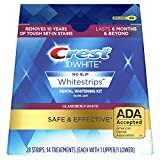 Even though all of these DIY teeth whitening suggestions are 100% safe to use, it is best to consult with your dentist first. This way, you will learn more about how these treatments work and you will benefit from a greater insight when it comes to oral hygiene. Furthermore, you need to be aware of the fact that none of these recommendations will show overnight results. However, if you create a daily routine, follow the instructions above and give it some time, the results will be obvious. Also, you can try a DIY toothpaste for better results.